From dignitaries to average television viewers, tributes poured in for Ed Bradley, the veteran 60 Minutes correspondent who died Thursday in New York at the age of 65. At the White House, President Bush said he and first lady Laura Bush were "deeply saddened by the death of Ed Bradley." Mr. Bush remembered Bradley for producing "distinctive investigative reports that inspired action and cemented his reputation as one of the most accomplished journalists of our time." At CBS News, where Bradley spent 35 years, including 25 with 60 Minutes, friends and colleagues offered their remembrances. Bradley was "a kind, gentle, strong man. A first-rate reporter and a first-rate human being," said fellow 60 Minutes correspondent Mike Wallace. "When he laughed, he laughed whole-heartedly from down deep. He was just an absolutely delightful man." CBS News chief Washington correspondent Bob Schieffer said Bradley "was simply the coolest person I have ever known. He was a great observer of the American scene with a shrewd eye and a terrific sense of humor. And let me tell you, no one ever put one over on Ed Bradley." Bradley died at Mount Sinai Hospital in Manhattan of complications from chronic lymphocytic leukemia. His consummate skills as a broadcast journalist and his distinctive body of work were recognized with numerous awards, including 20 Emmys, the latest for an interview with Neil Armstrong. As one of the most visible black journalists on television, Bradley broke down racial barriers and became a role model for young African Americans. "The pressure is there," Bradley said. "It's been there every day of my life." Listen to more of what Wallace has to say about Bradley. Check out photos of Bradley through the years. Read what Public Eye has to say about Bradley. Bradley was honored with the Lifetime Achievement award from the National Association of Black Journalists. Three of his Emmys came at the 2003 awards: a Lifetime Achievement Emmy; one for a 60 Minutes report on brain cancer patients, "A New Lease on Life;" and another for an hour-long piece about sexual abuse in the Catholic Church, "The Catholic Church on Trial." Watch the video report. Read part I. Read Part II. Viewers who watched Bradley's reports over the years shared their thoughts on CBSNews.com. "My wife and I wept at the news of Ed Bradley's passing. She said, 'He came into our home every Sunday with something important to say'. He did indeed. I don't write these types of 'fan letters' but Bradley was extraordinary," said RJGATOR. 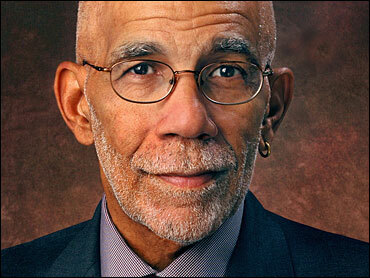 "Ed Bradley will be sorely missed in our household and by countless admirers," said joycenbill. "His ability to give us the heart and soul of the people or stories he reported upon was extraordinarily human." And jtmjc wrote: "We loved Ed Bradley here in New Orleans, he was here in town this past Jazz fest in May, and he got on stage with Irma Thomas and watched behind the stage as Lionel Richie performed his set. … We will miss his COOLNESS." Read more memories of and tributes to Bradley. Ed Bradley was born June 22, 1941 in a rough section of Philadelphia, where he once recalled that his parents sometimes worked 20-hour days at two jobs apiece. "I was told, 'You can be anything you want, kid,'" he once told an interviewer. "When you hear that often enough, you believe it." After graduating from Cheney State College with a degree in education, he launched his career as a DJ and news reporter for a Philadelphia radio station in 1963, moving to New York's WCBS radio four years later. Bradley's first job out of college was as a sixth-grade teacher. He joined CBS News as a stringer in the Paris bureau in 1971, transferring a year later to the Saigon bureau during the Vietnam War. It was the story that put him on the map and almost killed him, Stahl reports. As Bradley explained in one interview: "People were moved from Viet Cong areas into towns controlled by the government. And all of a sudden I heard this terrific noise ... if I had not moved to sit on the side, I would have been dead." After reporting in Cambodia, Bradley moved to the Washington bureau in June 1974, 14 months after he was named a correspondent. Watch Bradley on the anchor desk in 1979. Watch Bradley report on the end of the Vietnam war. Watch "the best of Bradley." Other hour-long reports by Bradley prompted praise and action: "Death by Denial" won a Peabody Award for focusing on the plight of Africans dying of AIDS and helped convince drug companies to donate and discount AIDS drugs; "Unsafe Haven" spurred federal investigations into the nation's largest chain of psychiatric hospitals; and "Town Under Siege," about a small town battling toxic waste, was named one of the Ten Best Television Programs of 1997 by Time magazine. Bradley's significant contribution to electronic journalism was also recognized by the Radio/Television News Directors Association when it named him its Paul White Award winner for 2000, joining distinguished journalists such as Edward R. Murrow, Walter Cronkite and Peter Jennings as a Paul White recipient. More recently, the Denver Press Club awarded him its 2003 Damon Runyon Award for career journalistic excellence. Bradley also received the prestigious Robert F. Kennedy Journalism Awards grand prize and television first prize for "CBS Reports: In the Killing Fields of America," a documentary about violence in America, for which he was co-anchor and reporter. Bradley's work on 60 Minutes gained him much recognition, including a George Foster Peabody Award for "Big Man, Big Voice," the uplifting story of a German singer who became successful despite birth defects. In 1995, he won his 11th Emmy for a 60 Minutes segment on the cruel effects of nuclear testing in the town of Semipalatinsk, Kazakhstan - a report that also won him an Alfred I. duPont-Columbia University Award in 1994. In 1983, two of Bradley's reports for 60 Minutes won Emmy Awards: "In the Belly of the Beast," an interview with Jack Henry Abbott, a convicted murderer and author, and "Lena," a profile of singer Lena Horne. He received an Alfred I. duPont-Columbia University Silver Baton and a 1991 Emmy Award for his report "Made in China," a look at Chinese forced-labor camps, and another Emmy in 1992 for "Caitlin's Story," an examination of the controversy between the parents of a deaf child and a deaf association. In addition to "In the Killing Fields," his work for "CBS Reports" included: "Enter the Jury Room," an Alfred I. duPont-Columbia University Award winner that revealed the jury deliberation process for the first time in front of network cameras. A series of stories from 1979 were award winners, including: "The Boat People," which won duPont, Emmy and Overseas Press Club Awards; "The Boston Goes to China," a report on the historic visit to China by the Boston Symphony Orchestra, which won Emmy, Peabody and Ohio State Awards, and "Blacks in America: With All Deliberate Speed?," which won Emmy and duPont Awards. Bradley's coverage of the plight of Cambodian refugees, broadcast on the CBS Evening News with Walter Cronkite and CBS News Sunday Morning, won a George Polk Award in journalism. He also received a duPont citation for a segment on the Cambodian situation broadcast on CBS News' "Magazine" series. He covered the presidential campaign of Jimmy Carter during 1976, served as a floor correspondent for CBS News' coverage of the Democratic and Republican National Conventions from 1976 through 1996, and has participated in CBS News' election-night coverage. Prior to joining 60 Minutes, Bradley was a principal correspondent for "CBS Reports" from 1978 to 1981, after serving as CBS News' White House correspondent from 1976 to 1978. He was also anchor of the "CBS Sunday Night News" from 1976 to 1981 and of the CBS News magazine "Street Stories" from January 1992 to August 1993. A lifelong fan of jazz, Bradley took on a side gig in recent years as radio host for "Jazz at Lincoln Center," for which he won one of his four Peabody awards. Bradley joined CBS News as a stringer in its Paris bureau in September 1971. A year later, he was transferred to the Saigon bureau, where he remained until he was assigned to CBS News' Washington bureau in June 1974. He was named a CBS News correspondent in April 1973 and, shortly thereafter, was wounded while on assignment in Cambodia. In March 1975, he volunteered to return to Indochina and covered the fall of Cambodia and Vietnam. What was Bradley's secret to getting such renowned stories? Schieffer said it was all in his style. "Ed knew everyone from Jimmy Carter to Jimmy Buffett. He made people comfortable. He wasn't the bulldog type reporter like Mike Wallace," Schieffer said. "He set people at ease and got them to talk. Sometimes that was in their interest and sometimes it wasn't. But he was like Columbo, who had that disarming style and the knack of getting that last answer out of someone." 60 Minutes correspondent Steve Kroft said: "I think the thing that made him terrific was his presence. There was a dignity about him... a perfect mix of style and substance."